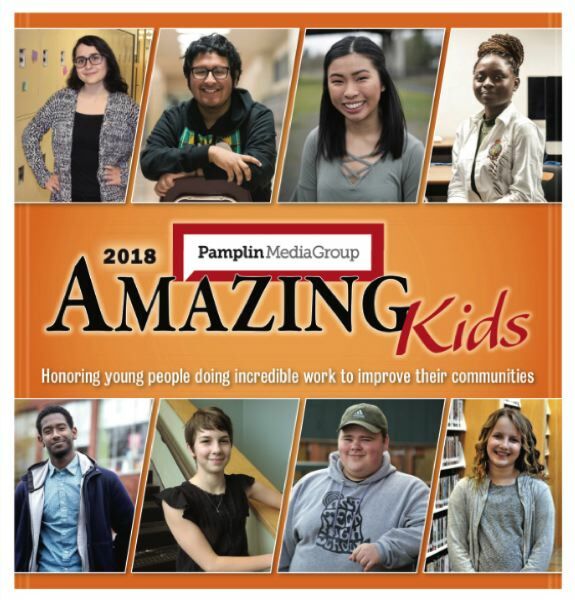 Honoring local kids making a difference in our communities is the foundation of the Pamplin Media Group's Amazing Kids event. Entering its 6th year, Amazing Kids is an award unlike any other. Honorees are chosen not necessarily for their academic or athletic prowess but for their commitment to service and the positive impacts they have made on the Oregon communities around them. Each Pamplin Media Group newspaper chose from hundreds of nominations for the child that would represent their community. The Pamplin Media Group's Amazing Kids event will take place at the end of April and be held at the Oregon Museum of Science and Industry. Each Amazing Kid will be recognized publically at this event, and their individual story will be shared in a special section. Last year's section was a massive 64 pages and included 28 amazing stories about how each made a difference in the lives of others. The Pamplin Media Group includes 25 local newspapers and websites reaching 1.1 millions readers every week in Oregon. The company is a family owned by local businessman and philanthropist Dr. Robert B. Pamplin Jr.
Dr. Pamplin believes in the importance of contributing to society, believing in one-self and never giving up. "We make a living by what we get, but we make a life by what we contribute," he said.